In Revelation 21:8, there is a list of those who are destined for the Lake of Fire. Surprisingly, perhaps, the first on the list is “the cowardly”. I have often wondered what that was about and what form of cowardice would be so bad that it trumps murder or witchcraft. Today, I think I found out. It alarmed me so much that I just had to write about it. I was talking to a friend who had recently been at a conference with a number of NGOs (many Christian and many American) who work among the poorest in Africa. In most of Africa, homosexuality is illegal and, even the suspicion of it is enough to be legally tortured, and the confirmation of it is punishable by death. People from the NGOs were telling my friend that they will get gay people come to them and plead for protection and help because they will be tortured and killed otherwise. The NGOs have a policy that they will not help anyone who is LGBTQ, so they turn them away knowing what will happen. Why? Because many of their supporters will cease to support them if they did. They look into the face of Jesus (Matt 25) and refuse him help, knowing that it will mean he is tortured and killed and it was in their power to save him from that. To condemn someone to torture and death because you fear people will pull their support from you is horrendous. Truly horrendous. It is no different from torturing him and murdering him yourself. Honestly, I do not know if I would act any differently. That is bad enough in theory, but when it happens in practice, that is cowardice. 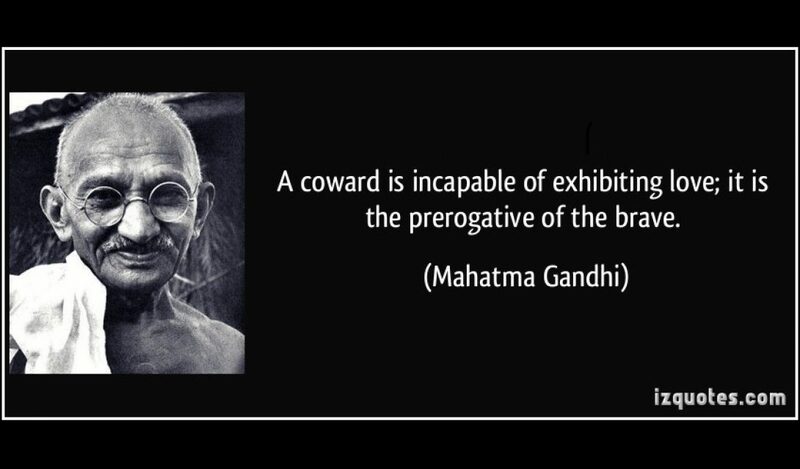 When that cowardice means that people suffer and die then that is just unbearable. I would like to have some pithy final line for you to take away, but it all just seems trite and small, so I will just stop. Wow thank you Matt. I confess I’d never noticed that list before and specifically that first reference to cowardice. In the context of Matt 25 it makes me wonder what Jesus would say to people who are willing to let others be harmed and suffer because they’re more afraid of harm being done to their personal reputations and/or their Christian funding. History tells us that this is what happened in relation to the role of women in both society (the vote) and the church (ministry). And before that, in relation to slavery. In both cases, it took 1800-1900 years of Christian influence in society (evangelicalism) before it happened. Wonder why that might have been?